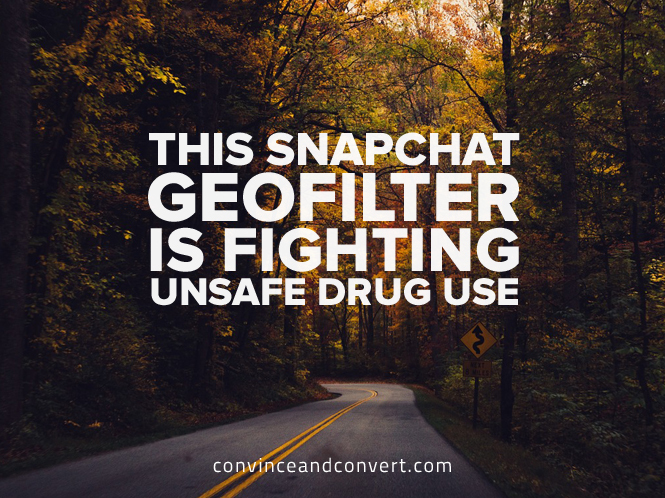 While many companies are using Snapchat geofilters for marketing campaigns, the UK government’s Department for Transport is using them for a different reason: to warn a younger audience against the dangers of driving under the influence of drugs. The initiative is part of a larger campaign from the UK’s Department of Transport called “Think! 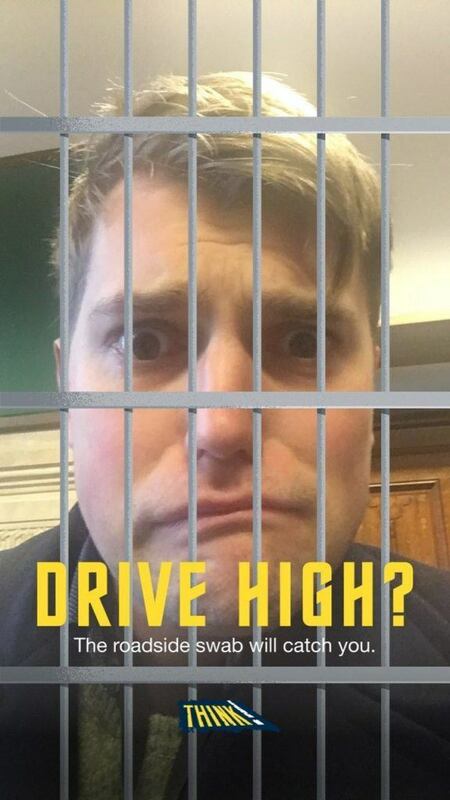 Drug Driving Campaign.” The Snapchat geofilters feature imagery of prison bars, with the copy, “Drive High? The roadside swab will catch you. Think!” The UK introduced a roadside drug swab test in 2015 to make it easier for the police to identify if someone is driving under the influence on the spot. The Snapchat geofilter was live for one day and generated more than 700,000 uses and 13.2 million views. However, the amount of money spent on the campaign generated some controversy in the news media. According to CampaignLive, the UK Department of Transport spent £70,000 on the Snapchat ads, including £30,000 on the geofilter and £33,000 on a 10-second video ad for the campaign, totaling 5% of the UK Department of Transportation’s 2016 advertising budget for the Think! drug-driving campaign. According to a Department of Transportation spokesperson in an interview with CampaignLive, Snapchat was selected to maximize reach with a target audience. “The use of new applications such as Snapchat, which has eight million UK users, helps us reach different audiences, change attitudes towards drug-driving, and ultimately save lives,” the spokesperson said. While it may seem controversial for a government agency to spend £70,000 on Snapchat geofilters and ads, the reality is that targeting specific audiences requires an understanding of where they spend their time and what will captivate their attention. With marketers looking for the elusive combination of right person, right message, and right moment, Snapchat has emerged as a powerful medium to reach and raise awareness with 13–34 year-olds. Part of why this campaign works is because the filters are bold. The imagery of being behind bars and the very specific copy about drug driving and the roadside swab makes the message crystal clear, allowing the user to create a personalized story or message to their friends. If the copy was not there, it would be easy to misinterpret or misuse the geofilter, ruining the point of the campaign. It’s a fantastic and inspiring example for non-profits, providing they have this kind of budget. With more than 700,000 uses and 13.2 million views of the geofilters and ads, this campaign begs the question: what’s next? Controversy aside, it’s clear that the Department of Transportation is onto something here and has a big opportunity to continue the momentum. The message of not driving under the influence is an important one, and the strategy of encouraging user-generated storytelling, whether it’s through Snapchat or other millennial-friendly social media channels like Instagram, opens up a number of possibilities.